The G65 and the Omen are completely different machines for different audiences. Go for the G65 if you need something really small and carriable. And are willing to put up with high temps and noise development. 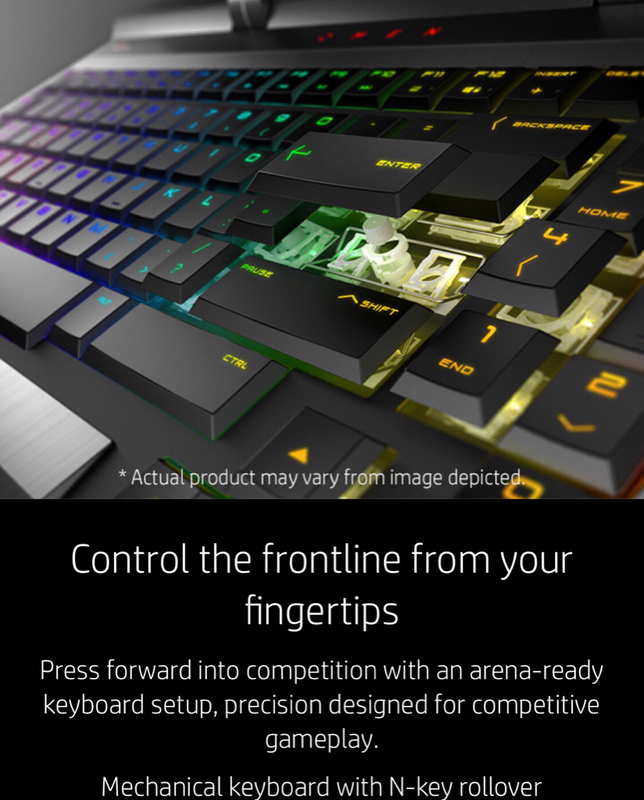 Go for the Omen X with 7 series CPU if you can find a good deal, and you want a no compromises gaming machine with a bigger screen and mech keyboard. If you can wait, probably HP will update the Omen with 8 series CPUs. I gotta say, if I could I would've waited for the 8th series CPUs but it didn't happen. I'm quite happy with my Omen right now, but it needed some tweaking. I don't reccomend the 120Hz IPS display option. If you never had experience with better screens maybe you won't notice the blur that much, but coming from a 120HZ TN panel my God it was terrible! And it's not like the colors were making up for its slowness. The 144Hz IPS is the better option I think. Mechanical keyboards will also make their way into more machines, I bet. MSI's have them on the GT75VR, but it's not great. The GT82 has a proper mech keyboard but it's huge, has two power bricks and an outdated 60Hz screen. The keyboard on the Omen is really, really good. Awesome to game and type on, I love it! Because it's much bigger than tradicional gaming keyboards, there's also a big plus that's usually not talked about on reviews. The keyboard does not heat up! I can't tell you how great that is, only if you had experience with hot keyboards on other laptops. Heat development on the keyboard is a very hard thing to avoid, specially when you game for 2+ hours. On the Omen it's always comfortable! And now that I changed to liquid-metal it's even more so. I have to do some more tweaks in Throttlestop, I'm also curious as to what more performance can be pushed out of the 1080 which sits comfortably under 75C while gaming. Then I'll do some benchmarks. Any particular ones you guys would like to see? Eclipse251, Torinosuke, Riktar and 1 other person like this. 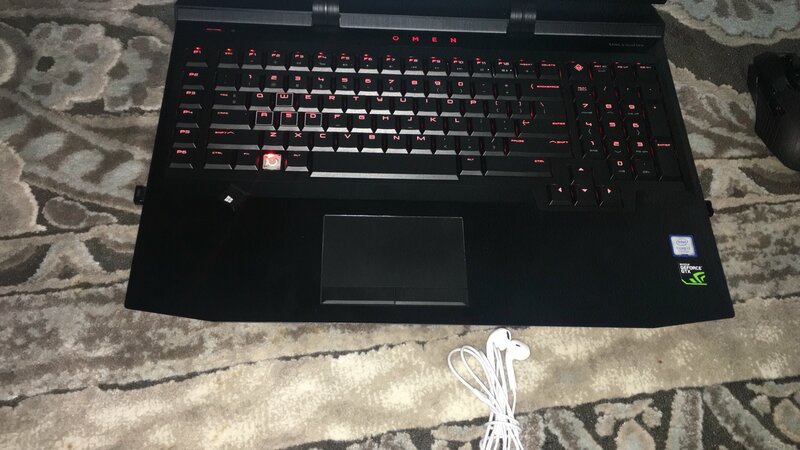 Does anyone know if there’s any trick to pulling out keys on the Omen X’s keyboard? Luckily it just clicks back into place... But it's definitely scary. Anyone know what kind of switch that is? Do your Omen X's ever shut down the fans fully? On a different note, got a Logitech MX Master 2S this week. I use it to work (mostly video editing) and it's the best work mouse I've ever used! Is there a control app for the fan control? You could move the start up temperature for the fans if there is one. Otherwise it may just be unalterable. Nope, no factory fan control available unfortunately. Both have their own "Overclocking App" and both use XTU services to apply it. Right now I have my undervolt set thru ThrottleStop, I have TS starting everytime I boot up W10 and have set XTU to Manual in services.msc. Seems to work good but everytime I open the Omen App (it also has lighting and macro controls, besides OC) I get an "Overclocking Failed, reverting to stock settings" message so I'm wondering if TS is the best way to get it done. Maybe it has something to do with the fans never going off too? That's a trend I wish would end, even Asus does this now. They all used to have some kind of Fan profile tool, but now only MSI seems to have it in Dragon Gaming Center and MSI's Silent Option - which hasn't been updated for a while. Something to complain to HP about. I've mitigated such fan noise by setting the laptop on sound absorbing material between the desk and the laptop, and make sure there isn't any noise reflective material behind and to the side of the laptop, face the exhaust out into open space instead of surfaces that can reflect sound back at the seating position. I just stopped ThrottleStop and that was in fact what was keeping the fans ON all the time! Very weird. Now the CPU is at 60C, GPU at 55C and the fans remain OFF or barely spinning. Big noise difference when doing easy tasks! Curious to see if it behaves the same with XTU. Maybe the fan behaviour is somehow connected to the CPU's multiplier value.